LDS-company is supporting Yvonne Marzinke on her way to Para-Olympic Games in Tokyo 2020. We are supporting her with an ergometer Cyclus2 for training. We are proud to inform you about exhibiting this year and showing our product portfolio during the biggest medical trade show MEDICA 2018 in Düsseldorf, take place from 12. – 15.11.2018. We invite you to attend our booth in Hall 3, E74a and take the opportunity for meeting with us face to face, learning more about our products for capillary blood collection, urine analysis, sports diagnostics and general consumables and also discussing future distributorship in your markets. New Safety lancets Press II, turquoise with 30G, 1,8mm depth for less pain is available now. Ask for special prices. An enormous variety of Capillary Blood Collection Systems with different volumes for using in routine labs or emergency labs. 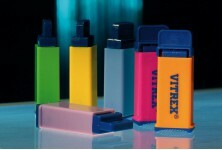 A big selection of different safety lancets for single use available for GP’s, hospitals and home care units. Could be used also by diabetic patients. 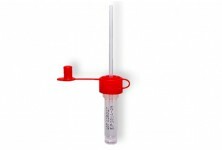 CL-50 is a portable urine analyzer. This analyzer is a compact, cost effective system offering physician offices and smaller laboratories the reliability of instrument-based testing capability. 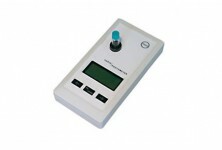 Portable solution for most of clinical parameters in medicine and sports diagnostic. Company LDS was founded in 2010. It is their aim to support small and middle sized producer companies of medical and laboratory equipment in launching their products into the German and worldwide market. For some regions we got exclusive selling rights from them. We can count on more than 10 years distribution experiences in the field of medical and laboratory equipment and necessary consumables. Our customers value our professionalism not only in the process of sales and training given during installation of analysers, but also our after-sales-support and supervision afterwards. Company website: Laboratory Diagnostic Systems.